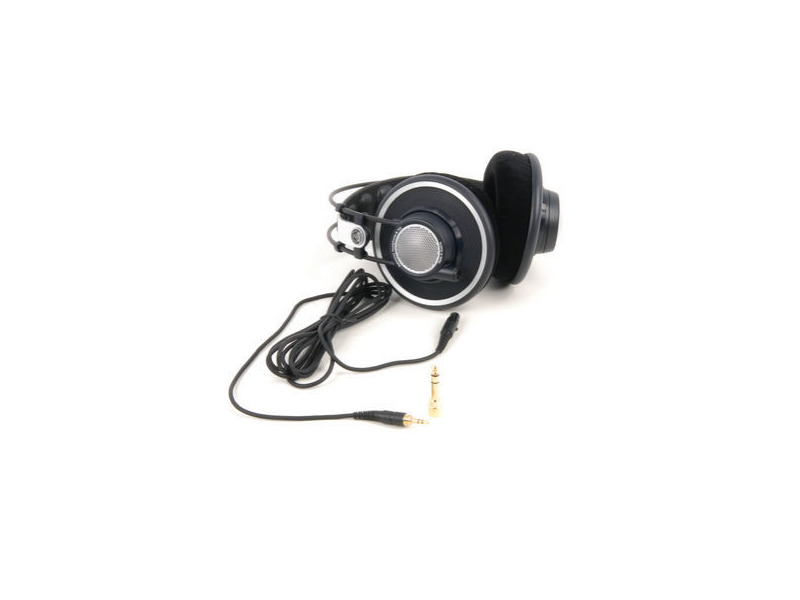 The K 702 are the reference for open-back dynamic AKG headphones. They combine an extremely accurate response with yet unseen agility and spaciousness. This is achieved by using revolutionary flat-wire voice coils and a patented Varimotion two-layer diaphragm. A totally open design and a high performance cable complete these reference headphones. First impression is the very large, comfy headphone cups, although they are a bit large if you like listening while reclining your head. But overall the headphones are ergonomically. The cushy. The headphone chord, while proprietary, is a nice design which integrates the left and right speaker connections within the chassis, so you're only dealing with one wire. The leather strap, which some object to, is a mute point for my hairless scalp. Still breaking in, 2 days, but the sound is very musical. The stage is a bit forward, compared to my planar HE-400s cans, but good response across the spectrum. Bass is tight. Headphone sound is extremely subjective, but these are definitely worth an audition. Got these from B&H photo in NY, sight unseen. I don't know if they are the best, but a great value and very comfortable. Big, and not super efficeint, but they are alot of fun.